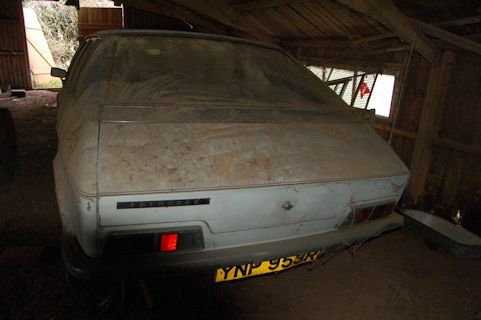 I have a barn find BL Princess 1800HL, in good solid condition available for sale, needs new tyres and reconditioning as well as a good clean!) turns over by hand but has been left in dry condition since 1991). Really sold car, good, complete interior and a Webasto sunroof. Need the space so only looking for what it’s cost me, namely £420. 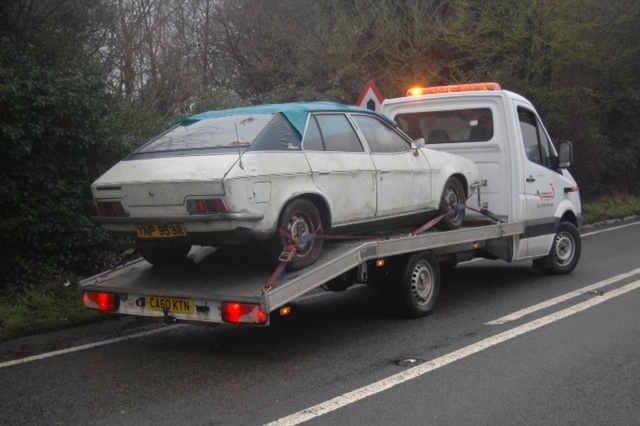 On the Isle of Wight but looking for a new home to restore - not bantered. Anyone interested? These are the projects you want, stored nice and dry, not fucked about with. An acquaintance is restoring an Ambassador VDP in that light metallic greeny blue colour. Looks fantastic, he is going the whole hog proper ground up resto which is great. Pointed him in the direction of getting repro Serck plates which would be period. Early one, though not as early as RBJ has unearthed in the past. 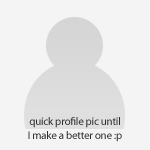 Wow, this is truly splendid and bargainous ! I'd love to see one of these built into the B Series Diesels that were a production possibility in the late 70's. Four cylinders, 1500cc, 40HP on a good day. GR8 for narrowboats and Maltese-built CKD Marinas. oh my, that is lovely, and if i'm not mistaken, its a proper base spec model? i mean, that dash doesn't even have a piece of teak stuck over the top of it! Sod my sodding trousers, you'd have had to pay someone £420 to take this away back in '91! But you, me lady, have stood your ground and now you are going to see your investment mature! Early HL models had the grey dash, my Dad had one. And if it was base spec, it would have plastic seats not cloth.....and anorak off and relax....! My dad had a HL 1800 ,new , T reg, metallic green.. His had a chrome trim in that groove across the glovebox . Calling Angyl Roper to the off-white phone. That's Angyl Roper to the off-white phone. Thank you. Thanks for the kind words all. This is a great project for someone. Very sound, could easily with work be put back on the road, an earlier and rare version in a rare colour and a webasto roof to boot. V5 and keys and it just needs someone with time to take her on. I need the space and have my heart set on a certain Kombi, so this needs to go to a good home and I’m only after what she has cost me. 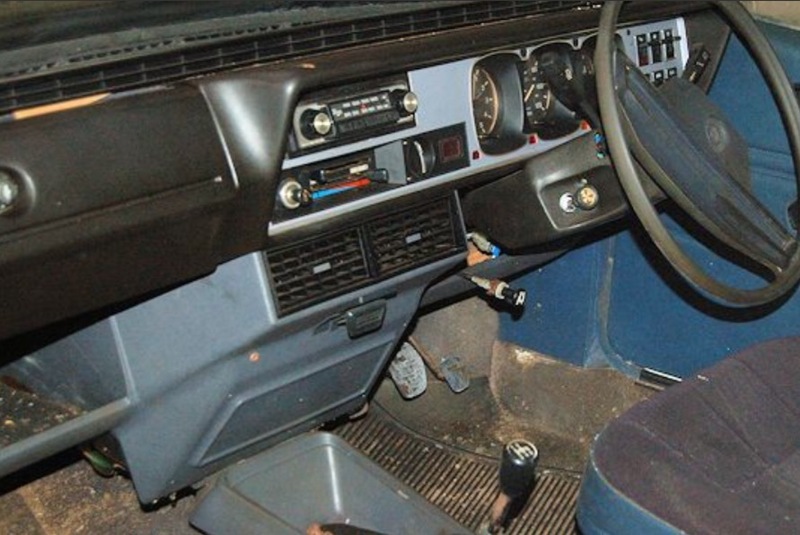 The interior is not the poverty spec but HL, so softer velour seats and as it’s a B-series version, it has the coloured plastic dash (only the 2200 version had the walnut dash and the O-series Princess 2). When was the last time you saw one- these are rare old beasts but I already have a Princess 2 and Ambassador! Got to admit as first posts go this is pretty mega! I already have a Princess 2 and Ambassador! I think a thread about them would be well received! 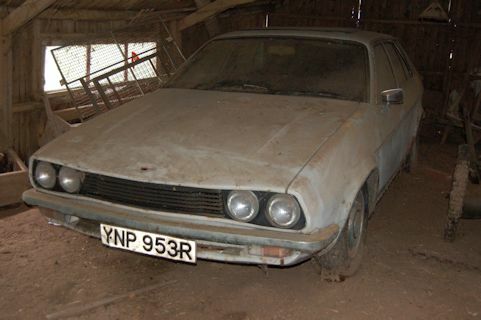 I know it's the old cliche of 'barn find' but this really does show that stuff is still hiding out there and it's not all fit straight for the oval of death. I couldn't save this if I had a billion but I'm sure it won't hang around long. Logistics can't be that much of an issue - MOT exempt innit. Take a decent battery and a gallon of fresh pez and drive it home. It's only a B series, how hard can it be? If you'd loaded it on backwards, I reckon your truck would have done a wheelie. Interested yes. Yes very much. Interesting colour, interesting spec, earlier model... many boxes ticked for me there. Would make a fine companion in stock trim alongside my Princess 2. Unfortunately, no new projects for me until at least next year because of impending mega house move dealie. I want to ask a million questions about condition, etc. but I shan't waste your time because I'm in no position right now to take it on, as much as I'd like to. Must be good. Must be sensible. Must avoid the temptation of cheap Princesses that keep appearing online when I'm *supposed* to be saving and downsizing to make the house move easier. So when you posting the collection thread? Vulg, if memory serves this Princess is a lot closer to where you are moving to than where you are living now. I reckon that's a sign. It's your destiny, etc. This forum needs a diesel Maxi. Didn`t B L make a few diesel versions ? I have memories of driving 4 mates to Brighouse auctions in one in the late 70`s. How has this not been snapped up? Bargain. It's true, Isle of Wight isn't far away from Kent at all, I could lug it back on a tow pole behind my Princess if I really wanted to (I don't want to). We'll see what happens after the move... I mean, it would be an _ideal_ birthday/christmas present so perhaps I just need to drop some heavy hints about the place.